I just finished co-writing a new screenplay. When I was presented with the treatment, I had to do it. It is a great comedy that they will start shopping to studios in the coming weeks. 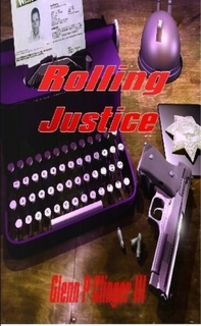 My newest Rolling Justice book is now available on Amazon. I am looking for executive producers to look at my NTSB and Rolling Justice pilots. I also finished a new pilot titled, Pacific Vice. That pilot is a cop drama based in Hawaii and should draw some attention. I have been lucky to have had two of my pilots optioned or pitched to network executives in the past two years. I am currently looking for a new television and literary agent. If you are currently an agent in the Los Angeles or New York areas, then please reach out to me. When a young girl was found murdered in South Carolina, FBI Special Agent Trisha Jackson was called out to aid on the investigation. Since the cause of death was almost the same as another girl found a month prior, she believed it may be the work of a serial killer. She reached out to her old mentor and former FBI Agent, Colton Chandler. Chandler, now a long-haul truck driver, was once one of the most talented agents in the country. When they teamed up to investigate the murder, they discovered something much worse. Tiffany Wallace, a beautiful young woman showed up at Colton Chandler’s trailer at 4am during a terrible storm. Colton, a truck driver, was fresh off a run to Denver and intent on getting some much needed rest. Colton had given up his career as one of the best FBI agents in order to become a truck driver and he was happy with his decision, but he occasionally got people that asked him to use his skills to help solve mysteries when local authorities failed.Tiffany’s husband had been missing for weeks, so she decided to take matters into her own hands. Colton was hesitant to help, but Mrs. Wallace offered him $50,000 dollars cash to find the missing investment banker. Seeing it as an opportunity to help and also make some much needed cash, Colton decided to take the case not knowing what was in store for him. 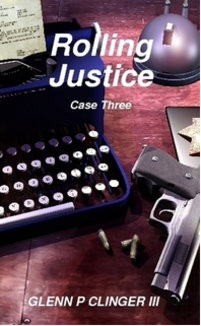 Rolling Justice Case Three is the third book in a series by Glenn P Clinger III. It just shows that when you are good at something there will always be others that will seek out your help. Former FBI agent turned truck driver Colton Chandler sat at his favorite restaurant where he was approached by his old college friend, Rick McGee. McGee was back in town and his niece Jenni was missing. Fearing the worst, McGee contacted local police, but they rendered no results. Frantic and out of options, McGee turned to his former classmate for help. As Colton listened to his friend, he hated to tell him he was no longer one of the best FBI agents in the country. When Colton broke the news that he was now driving the open roads for a living, McGee still pleaded for help. Colton was now faced with the decision he had made so many times in the past three years. 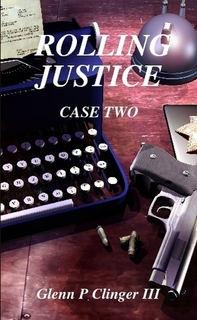 Rolling Justice-Case Two is the second installment in the Rolling Justice series by author Glenn P Clinger III. It is the story of a talented FBI agent that left his law enforcement past behind to pursue a new career, but quickly found out that when you are the best at something, people will always seek out your help. When Paige Devereux, the beautiful young wife of wealthy Carson Devereux comes up missing, her sister Katie seems to be the only one who is truly concerned. 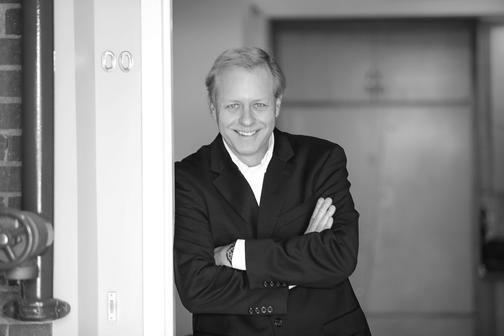 Carson Devereux is the owner of CDI, a well-known international security firm. After several days with no word from Paige, a worried Katie tracks down former FBI Agent Colton Chandler. While Chandler used to serve as a renowned solver of missing persons cases, she finds him living in a dilapidated trailer, working as an over-the-road semi truck driver. At first, Colton has no interest in dredging up his past by helping the woman find her sister, but her pleas and her heartfelt concern for her little sister convince him to meet with the missing woman’s husband. 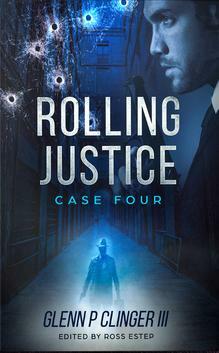 Rolling Justice is a mystery in the tradition of the old Murder She Wrote series, the story of a has-been who discovers that while his career and living conditions may have changed, he’s still capable of doing what he set out to do in the first place: helping people by solving a mystery. A small homeless kitten is adopted by a loving family. She gets to experience the magic of Christmas for the first time. A small kitten that is abandoned and left to survive on her own is adopted by a loving family. It is a heartwarming story that you will read over and over to your children. Copyright © 2019 Glenn P Clinger III.